I definitely liked the first book in this series more. This one seemed slower paced and Violet started to annoy me. I also didn’t like how it ended leaving me wanting more romance between Violet and Chief Rainwater! Book 2 in this Magical Bookshop Mystery takes on a Poe theme. When a member of the writing group is found dead in the bookshop during a Poe reading, cute, vintage clothes lover Sadie becomes the prime suspect with all evidence pointing towards her! The magical shop keeps hinting at Violet to use the works of Poe to uncover the killer, but will her sleuthing cause her heart to beat nevermore? 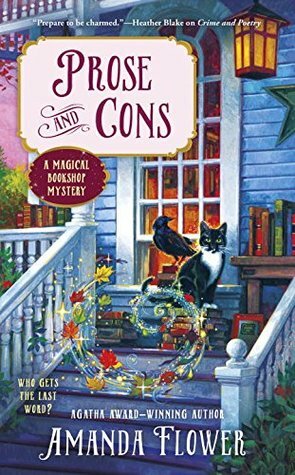 A fun cozy mystery but the lack of intrigue had me wanting more. I do still look forward to book 3! Aven is back with a new book and a new sport! 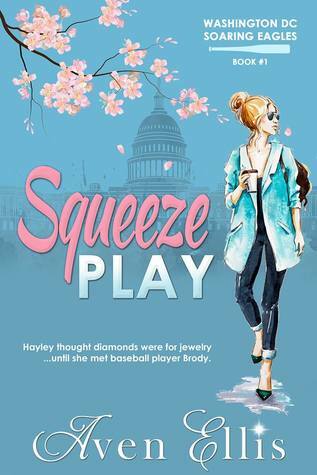 Squeeze Play is a baseball romance set in Washington DC. Hayley has just gotten her dream job working for a dyslexia focused non-profit in DC. She has no time for romance, especially boys her age-they are too immature and unfocused. Brody is the catcher for the Washington Soaring Eagles. All his life he’s been compared to his twin Brady and led to believe all he is is a dumb jock. After a super embarrassing yet hilarious encounter at a coffee shop Brody and Hayley start hanging out and talking about everything under the sun-from kitschy appliances to favorite cereal combos! As they start to grow closer, their own insecurities threaten to pull them apart. Will Hayley and Brody be able to continue their love story under the cherry blossoms or will their fears cause them to strike out in love? Even if you don’t like baseball, don’t understand it, or you’re just in it for the baseball butts, Squeeze Play is a home-run for everyone because it’s hilarious, the friendships and relationships are realistic, and the romance is sweet yet passionate. This book will make you laugh, cry, and melt your heart! This was such a magical, feel-good romance! Pip, or Piper, works as a mystery hotel guest for The Tree of Life. She stays at various hotels all over the world and writes reviews on them. Her latest assignment is to review Stardust Lake Hotel-a newly renovated hotel on a quaint little island that often has views of the Northern Lights. Little does she know the hotels new owner is none other than the love of her life from her youth. Gabe took over his grandfather’s hotel and is making amazing strides with renovations. Igloos, decorated lodges, views of the Northern Lights, reindeer, shops run by local villagers selling all sorts of themed goodies…it’s the perfect winter retreat. But when the girl who broke his heart many years ago ends up in his hotel, it seems to be anything but perfect. Gabe and Pip go way back…but after a tragedy and heartbreak years prior, their hearts are broken, but the chemistry and feelings are still there! I loved this book. I enjoyed following Pip and Gabe’s journey towards finding love again. The setting was absolutely magical, and the author did an amazing job focusing on the details of the lodges and the village with their specialties-chocolate fountains and handcrafted snow globes, among other goodies! I love Christmas and would love to visit a place just like this, it sounds so enchanting and lovely! 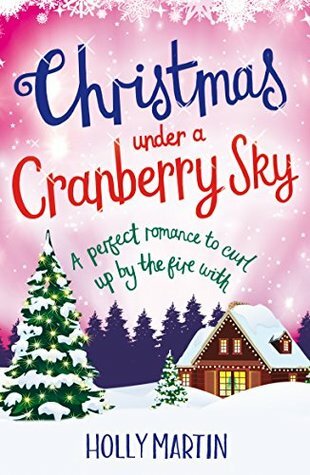 Even though it’s only October I’m always in the mood for a holiday romance, and Christmas Under a Cranberry Sky did not disappoint! It’s got all you need for a cozy, heartwarming read that just makes you feel warm inside. I received a copy of this book via NetGalley and Bookouture. All thoughts and opinions are my own!